This modern 3 bedroomed property located within walking distance of the University, Hospital, Great Local Schooling, and City Centre with all its Cafe/Restaurant/Bars or just shop until your wallet says stop. So leave the car in the internally accessed garage and appreciate true Dunedin city living and wait to be impressed with the cultural aspects of the city, including the Art Gallery, the Museum, the Chinese gardens and the new Stadium and sports facilities at Logan Park. 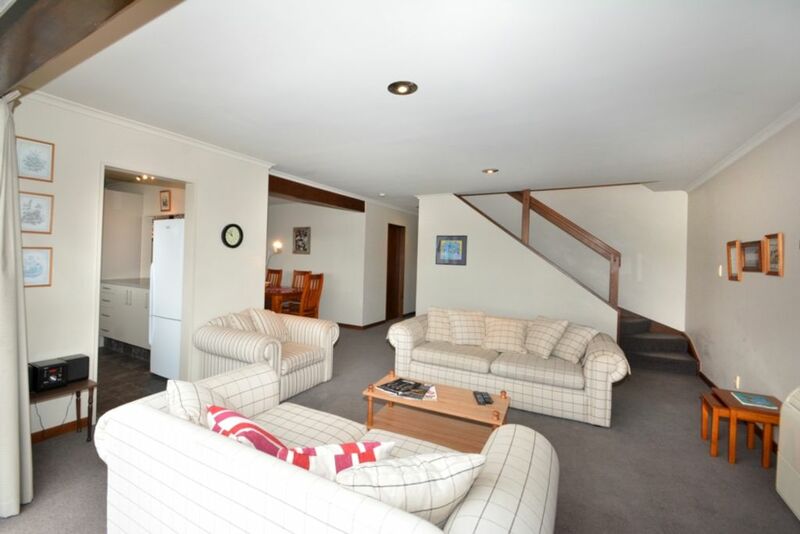 This fully self contained townhouse is lovely and warm, and whether you are here to experience Dunedin's city living and it's attractions or visiting friend and relatives it will be like staying at a home away from home. This fully self contained town house,is a great place to stay if you want to be close to town and have all the facilities of living at home, so just come on in and start your stay. The house needs to be left clean and tidy, otherwise there will be a cleaning charge as well. The linen is supplied and just needs to be left in the Laundry when you leave. Extras: Linen hire (Required, NZ$20.00 per person); NOTE: Under Kiwi bach tradition you are expected to: Clean the house and do the dishes before you leave. Easy going. I grew up in Dunedin, I went to Columba college. I currently live at Tarras in Central Otago on the family farm which is run by myself and my 2 sons.. Walking distance to central city to Cafes restaurants museums, Moana pool. Great property close to the CBD, clean and tidy with everything you need. Great location, clean tidy rental with everything you need. We found the location to be really convenient to the city centre. Plenty of parking for the vehicle. The property was stocked with everything you would need for a comfortable stay. Owners were very helpful and responsive when we had questions. Lovely view of the harbor was a bonus. Kirsten and family were excellent guests and left the place very tidy. I would recommend them to anyone considering hosting them. Great location. Will stay there when we are in Dunedin. Great location. Well set up and very clean and tidy. Highly recommend.